It’s time to say adios to those mountain biking trail centres for a while. They’ve been good to us over the winter but now spring is (almost) officially here and all that natural singletrack goodness is out there waiting for you. Can you hear them? The Quantocks are calling. I have hiked a lot in the Brecon Beacons but it’s been a while since I’ve been up the iconic Sugar Loaf. On a gorgeous snowy Saturday, I headed out with my dad and brother to re-acquaint myself with it once more. Have a read to see what this part of the National Park looks like under a blanket of snow and bathed in gorgeous winter sunshine. Now, this isn’t my typical mountain biking post, but I wanted to share one of my more bizarre rides with you. Salisbury Plain is shrouded in mystery, (potentially) highly dangerous and down right creepy. Oh, and it’s so restricted that the general public can only visit on rare occasions. Interested yet? I have hiked a lot in the Brecon Beacons but haven’t ventured this far west in a long time. If you’re on the hunt for a new route, away from the crowds in the National Park, then this could be your new favourite. This hike takes you up by a series of pretty waterfalls, past a tranquil lake perfect for a cheeky wild camp and along a a ridge-line just as dramatic as Pen-y-Fan. The Cotswolds make for some surprisingly good cross-country mountain biking. This route is small but perfectly formed, carefully linking together a selection of quality bridleways we’ve discovered through trial-and-error. Happy riding! It might have been super cold and hazy, but watching the sunset over Kimmeridge Bay after a great coastal hike was the perfect way to end a chilly winter’s day on the Isle of Purbeck. Just make sure you pack a flask and tripod and don’t forget to check the tide times before you drive down, otherwise you’ll miss out on the seriously photogenic ledges that jut out into the bay at low tide. During the winter, there’s nothing I like more than heading to the coast on a cold, clear day and getting blowing along the cliff tops. It makes me feel really alive. One of my favourite spots is right on the south coast, above a famous surf break. It’s Kimmeridge, of course! Looking to climb Pen y Fan, South Wales’ highest mountain? In my opinion, this is THE classic route up Pen y Fan. Cribyn makes for a really exciting ridge ascent up to the summit – especially in the snow – and I always think that the ridge-line looks much more dramatic when approached from the north. Looking to climb Pen Y Fan, South Wales’ highest mountain? Then you’ve come to the right place. In this post, I share my top 5 routes up this iconic Welsh mountain with you. I only got round to doing this hike recently and it took my breath away. I thought I’d walked the best bits of the Brecon Beacons ridge-line around Pen y Fan, and then I discovered this hiking route. It is a long way round, but it’s worth it. 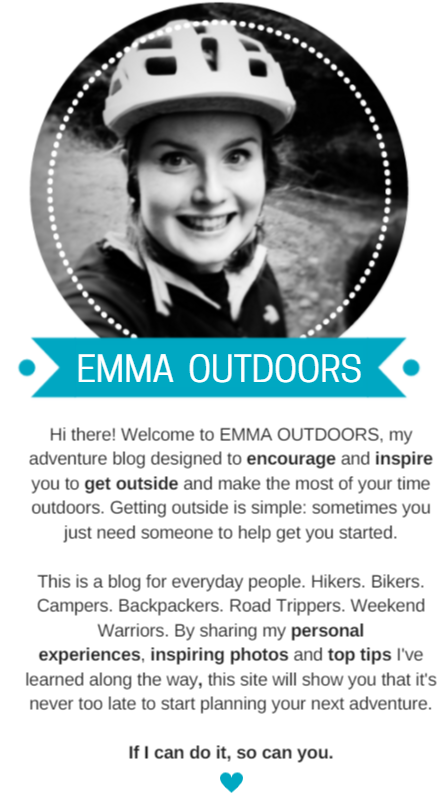 Join Emma Outdoors and become part of a fun outdoor community! No spam. Just yummy outdoor content. Promise. Pop in your email address below to follow this blog and to get new yummy outdoor posts straight into your inbox. Subscribe (go on, you know yo want to).